Mark those calendars, folks! Today is June 7th and that can mean but one thing: the one-month countdown to Spider-Man: Homecoming has begun, and CBM has uncovered a trio of all-new pics to drum up excitement. First spotted by Tumblr, the images below find Peter Parker (Tom Holland) in high school alongside his longtime bestie Ned Leeds (Jacob Batalon), who’s seemingly one of the first to discover that, yes, Parker and New York’s newfound hero are one and the same. Check out the promo above to see his priceless reaction. Meanwhile, CBM is reporting that Angourie Rice is attached to the part of Betty Brant, an employee at the Daily Bugle and potential love interest for Peter. 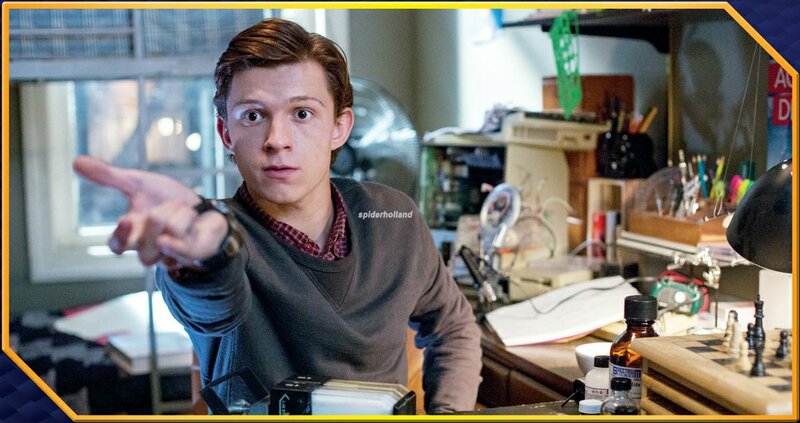 In terms of those pics, though, all three appear to be lifted from relatively early on in Jon Watts’ reboot, with Holland’s Web-Head sporting what appears to be a homemade prototype of the Spidey suit. This tells us that Spider-Man is yet to cross paths with Tony Stark by the time this particular snap is taken, as we know from previous promos that Robert Downey Jr.’s inventor is the one who provides his fellow Avenger with a much-needed upgrade in the suit department. Speaking of which, Twitter user MCU News & Tweets has uncovered four close-ups of the Spidey suit that are designed to showcase the nuanced facial expressions. After all, Tom Holland’s spirited, wonderfully animated lead will be spending a fair amount of screen time under the mask, so it’s reassuring to note that Holland’s infectious energy will still shine through the fabric even when the going gets tough. Moreover, there’s a very good reason for the varying eye-slits, as Parker’s new suit has been fitted with reactive lenses to help our friendly neighborhood Spider-Man wrangle with his enhanced senses. It’s been an awful long time coming, and many believed it would never happen due to Sony’s hold over the rights, but a Marvel-backed Spidey movie is finally beginning to come into view. Spider-Man: Homecoming hits theaters on July 7th and already, Jon Watts’ reboot is attracting nothing but praise from Marvel’s test screenings. At least, that’s according to Robert Downey Jr.